One in eight American women will be diagnosed with breast cancer at some point in her life, and early detection and treatment vastly improves the prognosis. 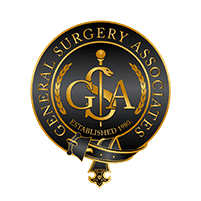 If you’ve been diagnosed with breast cancer, schedule an appointment with the experts at General Surgery Associates in Las Vegas, Nevada, to learn more about your treatment options. Does breast cancer always require surgery? Most of the time, treating breast cancer involves surgery. It’s often the first step in treatment, particularly in the early stages of the cancer. The surgery that will be most effective for you depends on several factors. Your surgeon will discuss your situation with you on an individual basis and suggest a treatment plan designed specifically for you. What is the difference between breast-conserving surgery and a mastectomy? Breast-conserving surgery is also called lumpectomy, quadrantectomy, partial mastectomy, or segmental mastectomy. With this procedure, the surgeon removes the part of the breast where the tumor is located as well as some of the surrounding tissue. During a full mastectomy, the entire breast is removed. What can I expect during recovery from breast cancer surgery? Your surgeon will provide you with complete instructions to follow during your recovery, which may vary depending on your specific situation and the type of surgery you had. You may have a drainage device after your surgery to allow excess fluid from the surgery to drain and collect. Usually, you will be asked to measure the fluid, and you’ll need to empty the device. Most of the time, patients only need a drainage device for 1-3 weeks. You’ll likely need to change your bandages at regular intervals after surgery. Your doctor will show you the proper procedure for changing your bandages — you may need help doing it. Your surgeon may also instruct you to take only sponge baths for a period of time after surgery in order to keep your incision clean and dry. 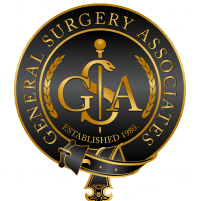 If you have questions or concerns regarding surgery for breast cancer, schedule a consultation at General Surgery Associates. You can call or book online.